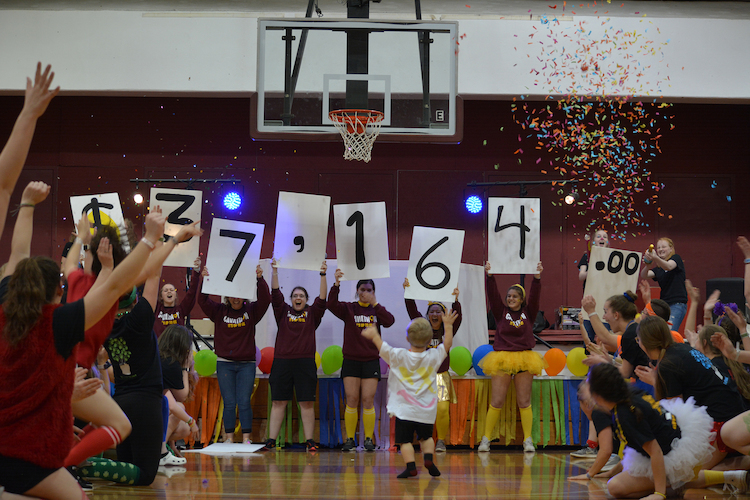 Once again, the Walsh University Dance Marathon surpassed its fundraising goal to earn a record $37,165 for the Akron Children’s Miracle Network Hospital. 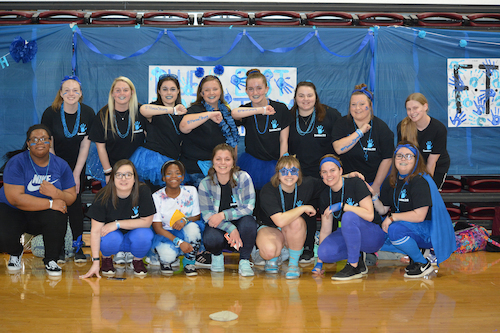 The Sixth Annual Cavathon, formerly known as Dance Marathon, brought dancing for a good cause to the Cecchini Center on Saturday, March 30, with over 100 registered participants. The daylong event surpassed this year’s fundraising goal by more than $2,000 and last year’s total by $11,000. Throughout the event, the morale team put on activities to keep the dancers excited and engaged including, minute to win it games, relay races, karaoke, a corn hole tournament and other forms of color war games between the different teams. 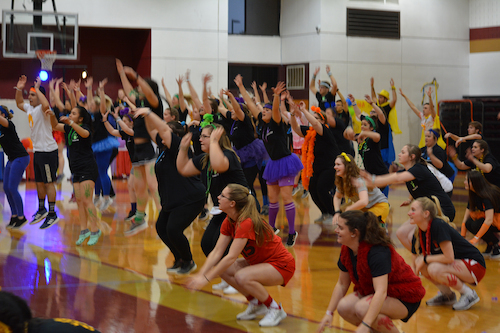 Exciting music was played throughout the event to keep up spirits and the team organized a morale dance that was taught throughout the day and performed in its entirety when the total amount raised was revealed. The event included several guests who came to visit the dancers. DJ and alum Danny Fill played music throughout the entirety of the day, including the new Rave Hour, with upbeat music, light show and fog machine. The Walsh University Dance Team taught line dances to the participants. Additionally, Shelly Kadilak from Kadilak Fitnessled Zumba during an hour in the afternoon. Families and their miracle children who have been treated at Akron Children’s Hospital came to share their stories and encourage students, reminding them why they were dancing. The money raised from Dance Marathon goes to Akron Children’s Hospitals to support children and their families in treatment.